As an LSU student, I feel like I am a little spoiled. I mean I, and most other students at LSU, walk by a 2.5 million dollar tiger habitat every day like it is completely normal. Tons of students stroll past it every day like it’s nothing special, but I think it is time for us all to get real. THERE’S A LIVE TIGER IN THERE! There is something so unreal about seeing a live Bengal tiger just hanging out while you are walking to class. Personally, I’ve been making a point to notice him more lately and let me tell you, it’s an awesome thing to see. 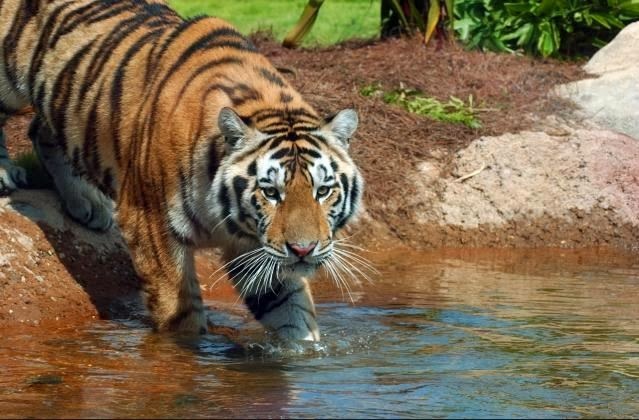 Having a college campus with a real tiger as a mascot, that lives on site in a beautiful multi-million dollar habitat, is definitely something that is uniquely Baton Rouge. The LSU Tiger Habitat is a spectacular must-see for any trip to Baton Rouge or just a visit to LSU. What many people don’t realize is just how much history* is behind Mike the Tiger. Our current Mike is the latest in a legacy of six LSU tigers, all named Mike and all with a unique story of their own. 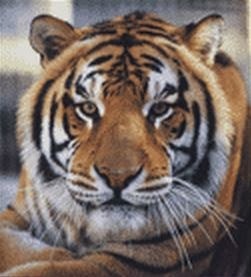 In 1934 Athletic Director trainer Chellis Mike Chambers made the decision to bring a real tiger right to LSU’s campus. 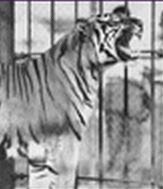 In 1936, after raising the money by collecting 25 cents from each student, a one year old tiger was purchased for $750 from the Little Rock zoo. 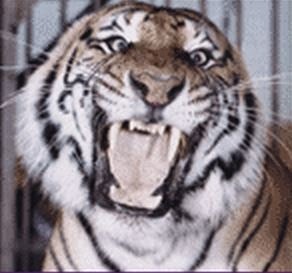 The zoo had named the tiger Sheik, but LSU decided to change his name to Mike to honor the Athletic Director who brought him to LSU. Students across the campus welcomed the tiger to LSU, where he would reign as a symbol of LSU athletics for 20 years. Only days after Mike I passed away from health complications, a Louisiana Representative was already working to bring another tiger to LSU. Representative Kenneth Deshotel introduced a bill in the Louisiana legislature calling for the purchase of another tiger. Students started a Mike the Tiger fund and in September of 1956 Mike II was brought to LSU. He was unveiled the next day, the opening day of that year’s football season. Following that, the story gets a little fishy. LSU Legend says that less than a month after his arrival at LSU, Mike II died of pneumonia. Oh and, it apparently just so happened to be during a six-game losing streak. According to the legend, LSU secretly buried Mike II under a willow tree along the Mississippi River. 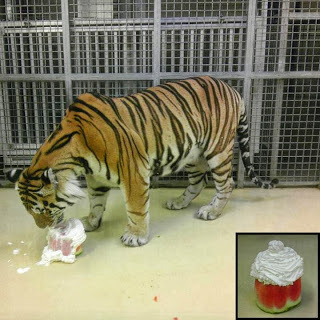 Then a statement was issued to The LSU paper, The Daily Reveille, stating that Mike was having trouble adjusting to his enclosure and was would be kept inside until he got adjusted. The legend says that they then secretly replaced Mike II with another tiger. Apparently, there is proof that Mike II did actually die and was secretly replaced. However, the University totally denies that one and tells the official story as Mike II returning when he had finally adjusted to life as a mascot and that he was in great health. Whatever you believe, the official Mike II passed away May 15, 1958 of complications associated with multiple fractures to his left rear leg. Mike III came to LSU just days before the national championship winning football season of 1958. His caretakers had Mike III trained on a verbal command to growl, which they apparently used to scare quite a few Alabama players – much to the dismay of then Alabama coach Bear Bryant. Mike III reigned over LSU for eighteen years. During his lifetime LSU won a national championship and three SEC championships. Mike III died of pneumonia in 1976, after the only losing season of his lifetime. After a lot of work by the Tiger Booster Club and Jack Gilmore, Mike IV was donated to LSU in 1976, by August A. Busch III of Busch Gardens. The best story of Mike IV took place on November 28, 1981. At around 1:00 am that day LSU police called his caretaker. “Mike’s out,” they said. “Mike who?” he asked. The police responded, “Mike the tiger. He’s out in the middle of North Stadium Drive.” Yeah, that’s right, A LIVE TIGER WAS WANDERING AROUND LSU’S CAMPUS! The chain had been cut on his cage door leaving Mike freedom to wander around the north end of the Pete Maravich Assembly Center and Bernie Moore Track Stadium. Apparently, Mike attacked a small tree along the way and looked like he was having a nice time. After three tranquilizers, Mike was returned to his cage and awoke the next morning with no ill effects. 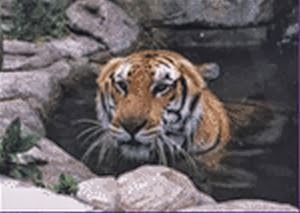 Mike IV lived at LSU for fourteen years and retired to the Baton Rouge Zoo in 1990. In 1995 he was put to sleep due to health complications. 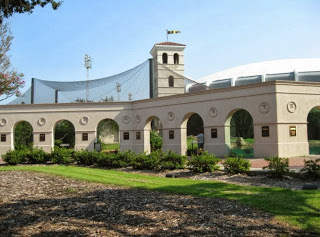 Mike V was given to LSU in 1989 by the Animal House Zoological Park in Moulton, Alabama. Out of all the Mikes, Mike V was called the easiest to handle and his caretakers said that he had a calm and friendly disposition. Mike V’s spent his last years at LSU in posh tiger style. During Mike V’s time at LSU thousands of people contributed to the “I Like Mike” campaign to rebuild the LSU tiger habitat and grow it from 2,500 sq ft to 15,000 sq ft. Mike V moved into his new 2.5 million dollar habitat in 2005. (You read right, 2.5 million dollars! This cat could be on MTV cribs at this point.) After 17 year career at LSU, including 5 baseball championships and one football championship, Mike V passed away in 2007. 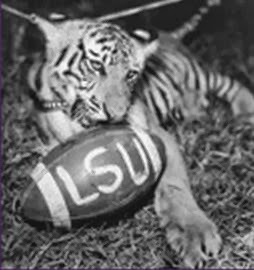 Mike VI came to LSU just before the start of the 2007 national championship football season, from an Indiana-based large cat and carnivore rescue facility. You can go visit Mike VI any time at the same $2.5 million habitat. I’ve found that he is the most awake around 10 am, but you can always catch him taking a cat nap in the afternoons. He loves swimming in his little pool too. The habitat is a great place to take kids and it also makes a nice place to just sit and relax. On game day it is always a big attraction to catch. If you are a huge Mike fan, you can watch him anytime on the live tiger habitat webcam, or contribute to the Mike the Tiger fund. 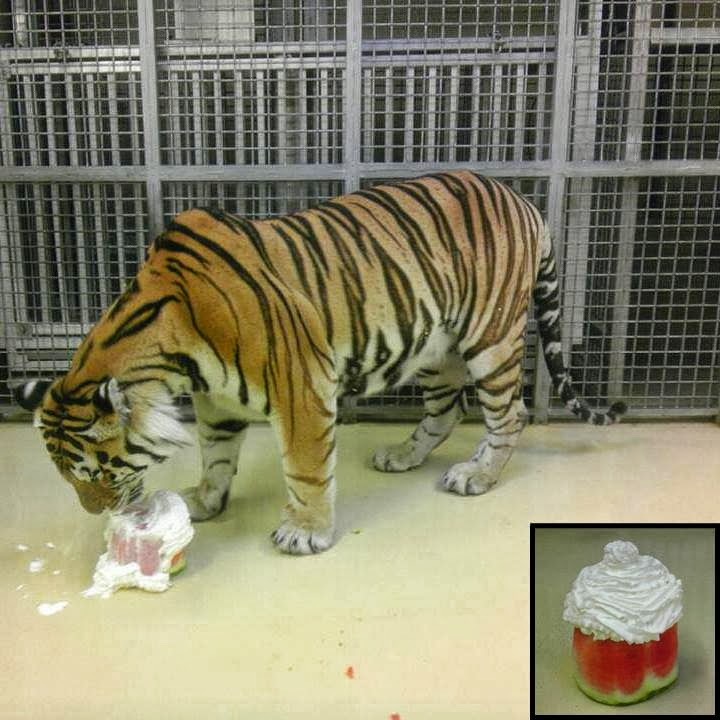 Oh and here’s a little insider pro tip on the side: If you like LSU on Facebook you can see a ton of cool photos of Mike – like this one of him eating his watermelon whipped cream birthday cake on his birthday this year! 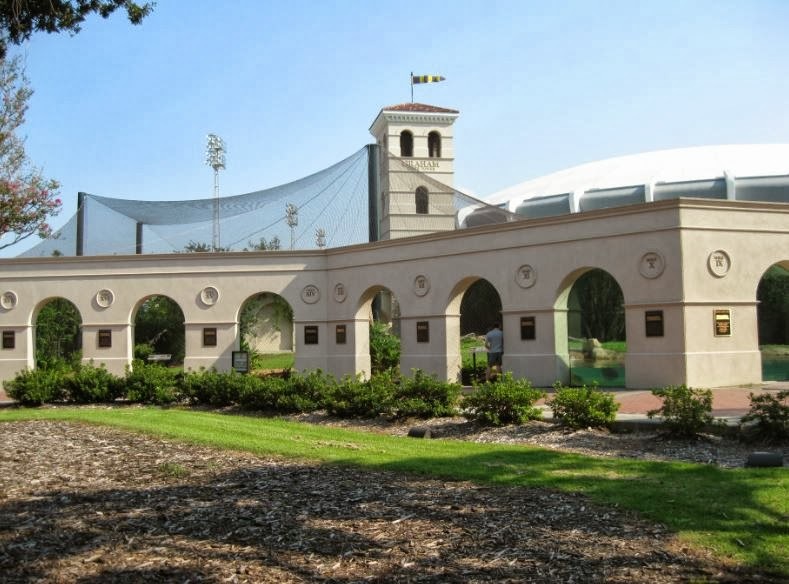 Mike symbolizes a legacy and culture of tradition that Baton Rouge holds so dear. I think along my way at LSU I let myself forgot that experiencing Mike the Tiger was so special, or just how lucky we are to have him right here on campus Baton Rouge. If you haven’t seen Mike, be sure to go check him out. Or, if you’re like me and walk past him every day, take some time to stop next time and realize how awesome it is that you are seeing a live tiger right in front of you – on your way to class! Seeing him swimming around in that little pool can brighten up your day every time. What is your favorite thing about Mike or his habitat? Did we miss any great stories about the legacy of Mike? Share it with us in the comments!